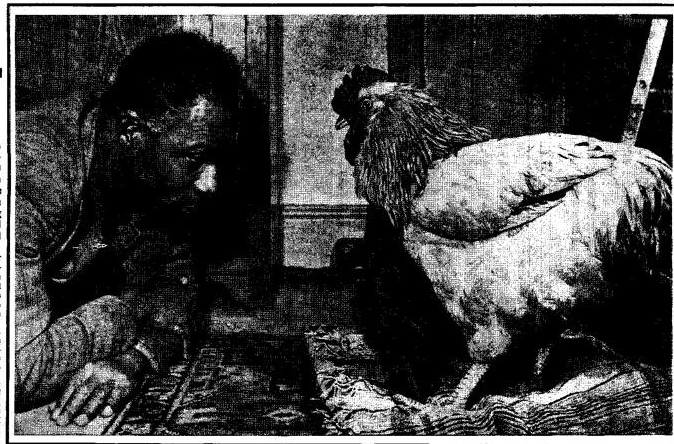 Stan, who is an aborigine, had to borrow the cockerel for his demonstration as he cannot keep one himself because he lives in a flat. Stan’s wife Golda, who is of Chinese descent, yesterday held their baby Simon as she watched Stan on his knees muttering strange prayers to the cockerel perched on a cushion. As a chicken worshiper, he does not eat chickens or chicken eggs. But his wife does. “But it’s a strange thing with Simon, he won’t even eat an egg, no matter how hard his mother tried to feed him with one” Stan told a Daily Mirror reporter last night. He went on; “My wife takes no notice of my being a chicken worshiper. Reckon there’s about four of us in this country. I’ve been one all my life since I was born in a bamboo hut in the jungle. My boy will probably be a Christian. It’s up to him later. But me, I’m a chicken worshiper.